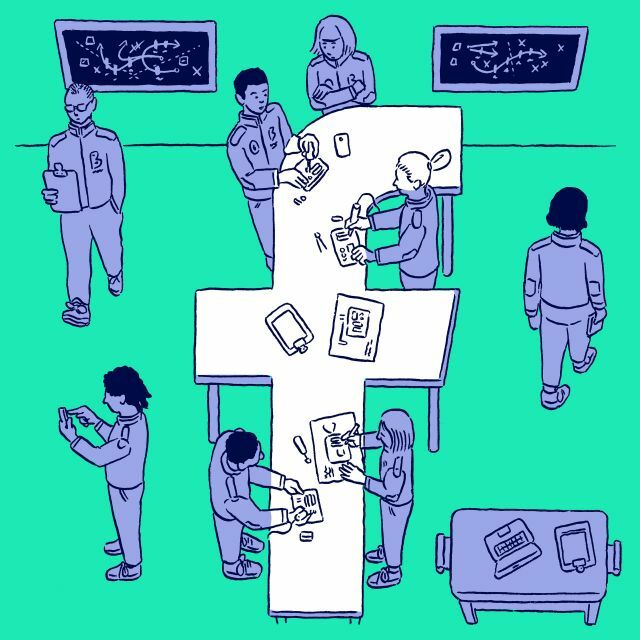 Recently, Facebook launched a new, mobile-specific ad format called “Canvas.” It’s since been renamed as an “Instant Experience”, but we’ll keep calling it Canvas in this article for brevity’s sake. Responding to the more than one-billion mobile-only users on their platform, Canvas unlocks a powerful new tool for brands hoping to capture their audience’s attention in creative ways. Early testing showed that 53% of beta viewers watched at least half the ads (some of which are upwards of 70 seconds long). The best part? Canvas ads on Facebook are the quickest and easiest way for you to take advantage of mobile advertising. 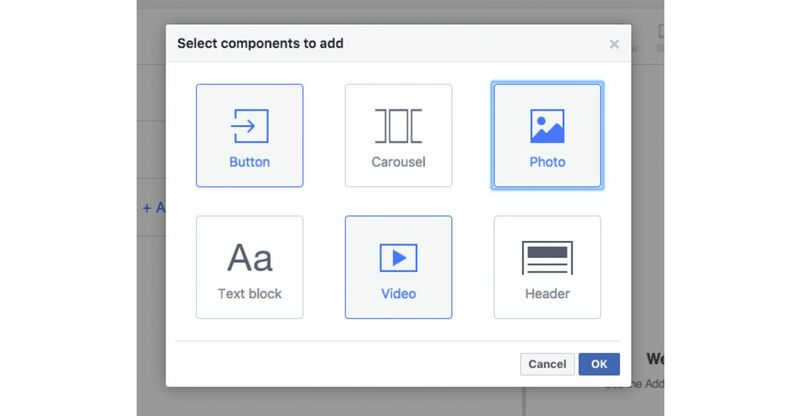 Here’s how to create some great Facebook Canvas ads, with examples and tips. Will Canvas work for you? Learn which videos your business needs in our essential guide to Facebook video marketing. What makes a good Facebook Canvas Ad? 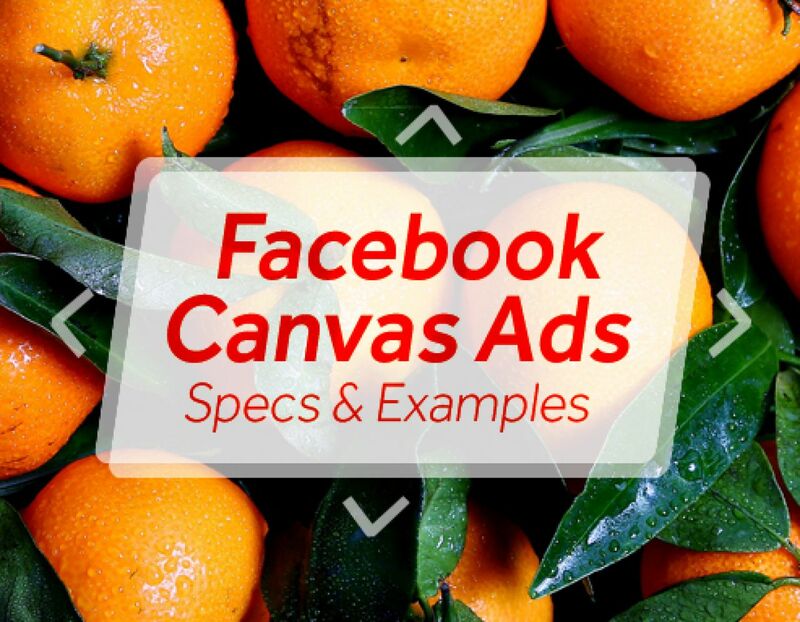 Canvas ads on Facebook are easy to create and free (beyond the usual promotional costs). This format offers viewers a full screen experience and a more immersive interaction with your brand. Basically, Canvas ads are mobile-optimized content in the Facebook app. All ads are hosted completely in the Facebook app; viewers can watch engaging videos and photos, swipe through carousels, tilt to pan, and experience a quick-loading full screen experience. To take advantage of these key features, keep these guidelines in mind. Complement video with text and images. Take advantage of everything this new format has to offer! Consider Canvas an extension of your website, and post the same articles, photographs, videos, and even products. Make your first image count. Unlike Carousel ads, Canvas ads show up one slide at a time, so the first slide — the image, video, line of text, etc. — is the one that determines if a user will continue to engage with your ad or scroll to something more interesting. Utilize customization options. Make users curious about what’s going to happen if they keep scrolling. Nobody wants to see page after page of just text! Integrate video into your Canvas ad if you’re hoping to show a lot of detailed information. Add a clear ‘call to action’ — and add it up front. Instead of waiting for users to drop off before reaching a CTA button at the end, integrate your next steps as easily accessible CTA buttons throughout the experience. Keep it simple. Yes, there are lots of bells and whistles you can add, and you should make it visually arresting, but keep your message uncomplicated. Make sure all your slides and videos tie together to make one clear point. Here are some of the best Facebook Canvas ads we’ve seen. Target’s Canvas ad stacks two carousels on top of each other, allowing viewers to mix and match their own outfits. This cool tool allows users to create a Target experience/look that is best for their personal preference, all while also showcasing Target’s versatile product offerings. 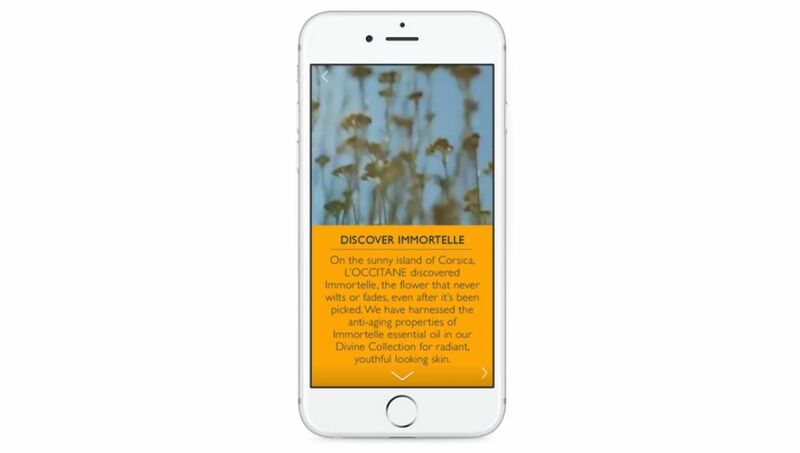 L’Occitane’s Canvas ad starts off with an engaging story about Divine, their range of anti-ageing products. This is followed by a visually stimulating virtual product ingredient tour that includes a CTA button inviting the viewer to shop for gift sets. In this short advertisement, the brand communicates its message through a captivating story that leads the viewer to a clear action. Facebook reported that this Canvas ad resulted in an 11% increase in ad recall by viewers, compared to link ads alone. Following Serena Williams’ 21 Grand Slam title in 2016, Gatorade commissioned 21 new designs for a mural in New York. Their first Canvas ad gave viewers an exclusive look at the making of the project. This is engaging and gives their art project the kind of advertising lift that would normally take a huge marketing budget — all while feeling celebratory and powerful, just like Serena. Ready to dive into your own Facebook Canvas ad? Follow these steps to start creating Canvas ads on Facebook. 1. Find Canvas. 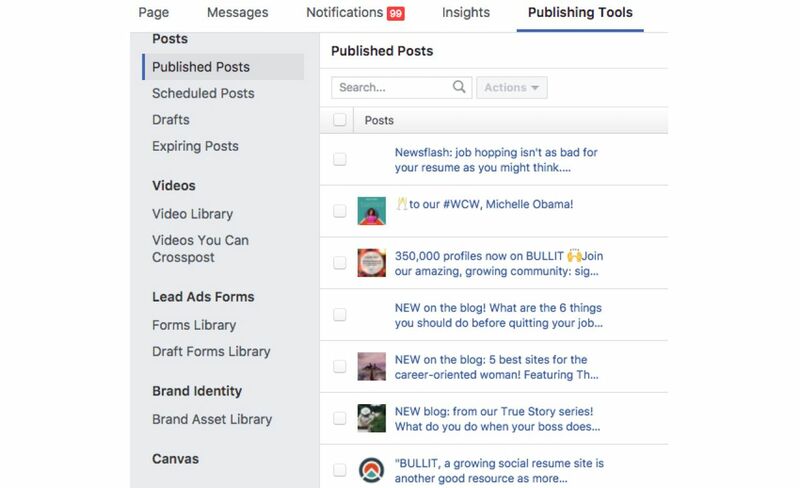 Login to Facebook, go to your Page, and click “Publishing Tools.” Canvas is on the left menu. If you can’t see it, go to the official Facebook Canvas page and hit the ‘Get Started with Canvas’ button. 2. Click “create” in the top right corner to start your Canvas ad. You can choose one of Facebook’s templates or create your own from scratch. 3. If you’re starting from scratch, you’ll be prompted to start adding components. You can add a CTA button, carousel, photo, text, video, and header. 4. Start customizing. Upload a video, create custom CTAs and colors, etc. The choice is yours! The preview will update as you work to show you exactly how your ad will look on a mobile device. 5. Play around with the ad until it’s just right. The best part: you don’t necessarily have to pay for an ad that people have to click on to get to your Canvas, you can simply post it to show organically in people’s newsfeeds if you prefer. The picture and video sizes you choose will be determined by what sort of ad layout you want to achieve, but here are some basic guidelines. Your minimum image size is 400px wide and 150px high, and the maximum is 1080px wide (or up to 5400px wide if you use the Tilt to Pan option) by 1920px high. Images may contain no more than 20% text as part of the image. Although you can add up to 500 words in each separate text component, it’s a safe bet that no-one wants to read that much in this format, so it’s probably best to keep it short and snappy. Video specs are a recommended minimum of 720p, with 1.78:1 aspect ratio (that’s 750px wide by 1334px high) for full screen on mobiles, but can be different — they just won’t look as good. File types can be either .mp4 or .mov. Et voila! Canvas ads for Facebook are simple, straightforward, and powerful tools to add to your marketing arsenal, so why not give it a try?